BlackBerry is probably the most controversial phone provider on the market - despite their dominance way back when, their shares and fanbase have significantly tanked in the past few years due to competition from the iPhone, Samsung Galaxy, and HTC devices. Sales have declined, popularity has dwindled; nowadays, some people will deem it weird for anyone to still use these devices. To counter this, the company's latest ambition is to recapture their audience with a newly structured operation system, BlackBerry 10, which blends conventions of the modern smartphone world with traditional perks that BlackBerry have excelled at. The two new devices that aim to achieve this goal are the BlackBerry Passport and BlackBerry Classic, which both debuted at the end of last year. These phones combine swift touch screen interfaces with the unique keypads that make BlackBerry stand out from the crowd. I myself received the Classic as part of a new phone contract, and after spending some time with it, I wanted to express some unbiased thoughts. 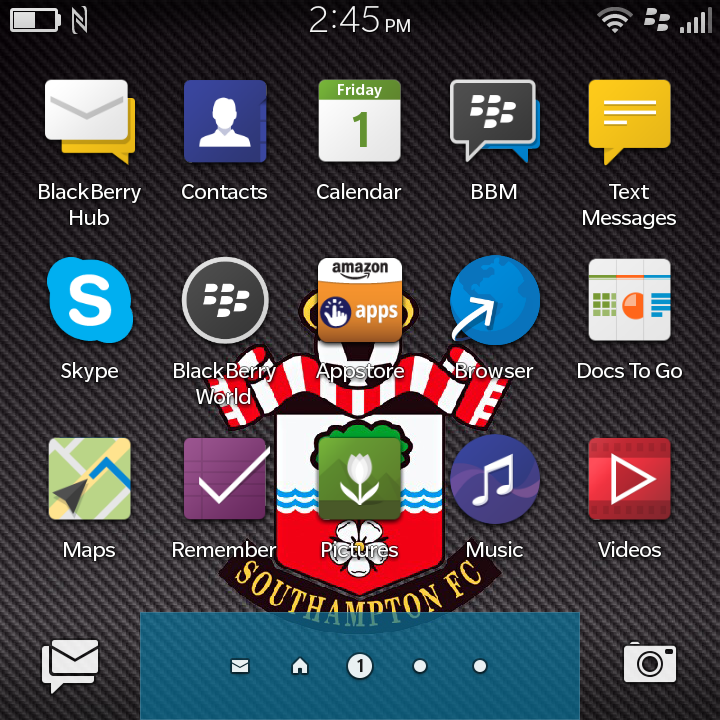 BB10 revamps the entire layout of the home menu. 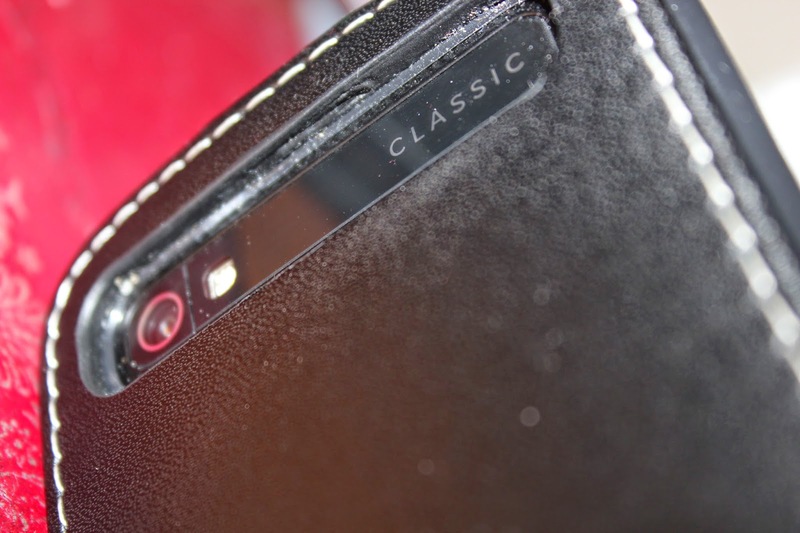 The BlackBerry Classic, as previously mentioned, runs on the new BB 10 operating system, which was built from the ground up as a fresh successor to the company's previous efforts. This new system matches the standard layout for modern smartphones - icons presented in a small grid, available to open via simple taps on the 3.5 inch touch screen. Swipe gestures allow you to scroll through the menus to find different apps; but you can also perform such actions with the touch sensitive trackpad. The trademark keypad makes a return and makes typing messages a pleasant experience; the gentle click of each letter provides some great feedback that just makes typing a lot nicer and more precise. My stupid fat fingers have always been an issue on touch screen keypads, and so this physical alternative is much more ideal. The keys are also much softer than before, so you won't be bombarded with an onslaught of loud clicks every time you write a text message. 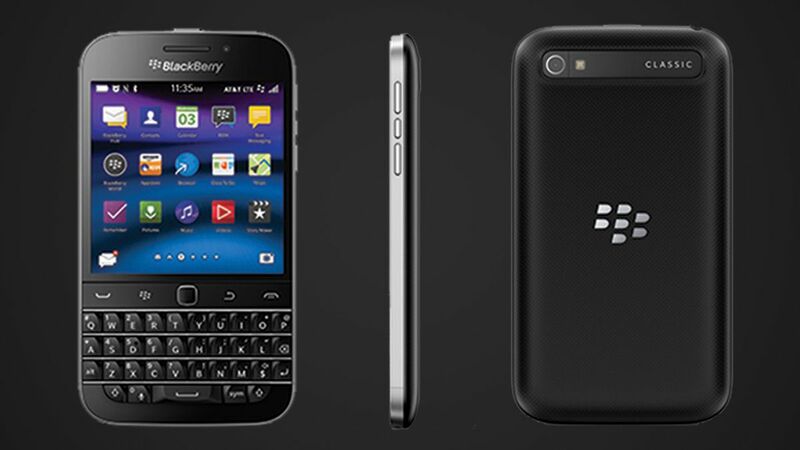 Compared to previous BlackBerry devices, the Classic is a huge leap forward in terms of speed and functionality. It took the company far too long to achieve this, but ignoring the delay, it's hard to deny that BB 10 is one of the best smartphone operating systems currently available. It's fast, beautifully fluid, and contains a notably exceptional web browser. Previous BB devices offered some of the worst internet browsing experiences in mobile phone history, but with BB 10, the developers have really made an effort to provide a speedy and swift internet experience with little to no load times or compatibility issues. Crucially, unlike in most of the previous BlackBerry phones, Youtube videos now look fantastic and load up quickly. Perhaps it would've been nice to rotate them with the screen when viewing, but nevermind. The Classic has all the standard apps built in from the get go, including Facebook, Twitter, Dropbox, Maps, Weather, and so on. The maps software is a lot better than the horrendous versions in previous BB devices, but it still needs some improvements; notably when it comes to displaying information for public transport routes. The app store BlackBerry World has a lot more on offer these days, even if it still struggles to compete with the more renowned competitors such as Apple's App Store and Google Play. Android apps can be purchased through Amazon and used on the Classic, however, so that is a nice bonus; even if some of them don't always work perfectly. Messaging services on BlackBerry phones is something I feel has never been rivalled by other contenders, and the Classic is another example of this. Texting is easy and swift, and BBM is back with a much nicer layout and the same speed it was always known for. Those who look for reliable and user friendly communication services will find much to love in BlackBerry phones, particularly when you look at their cheaper prices on operator contracts. The new BlackBerry Hub allows you to navigate between all your texts, app notifications, and e-mails in one condensed menu, without even having to open the app they are based within, which makes navigation all the more simple. The Classic features an outward and inward facing camera, so you'll be able to take all sorts of stupid duck face selfies if you so desire. The cameras provide 8 megapixel quality, and thus the resulting images are quite lovely. The camera can be annoying when it takes a while to focus, but you'll still be able to take some fantastic photos when you get to grips with it. Users who don't grossly obsess over pixel counts and merely admire the quality of the final image should be pleased with what the Classic can provide. In terms of it's physical design, the Classic has a gorgeous curved build, with metallic silver edges and the typical strength and robustness that BB phones are known for. The display shows images in 720x720 pixels, and the combination of the keypad and touch screen makes for a variety of flawless controls. Some people may find it a bit heavy, but I had no trouble adjusting to it. It's also got a strong battery life, lasting at least 20 hours on a single charge in my experience. The Classic is great without a doubt, but like all devices, it's not perfect. It can be a nuisance to transfer data from a previous BlackBerry phone that did not use BB 10 to your new Classic device, because the bundled BlackBerry Link software is so broken that, at times, it is virtually unusable; turning simple tasks such as copying over files into annoying ordeals plagued by long load times and nonsensical error messages. It works reasonably okay when moving contacts, calendar details, and that sort of stuff, but when you plan to transfer images/voice notes/music, I'd recommend Dropbox instead. The phone also takes around 70 seconds to boot up, which isn't a massive problem, but still far from impressive. I've always been frustrated with the hate BlackBerry devices have received by some people, though perhaps I do understand where they're coming from when you look at the outdated hardware on their older offerings. The Classic is a solid effort to catch up with the modern smartphone world - it's not as powerful as most of its competitors, but it's certainly a worthy addition to the smartphone market.